Some beer geeks get very excited when a new out-of-state brewery begins to distribute in Massachusetts, they have a list of beers that they want to try as soon as they land. I am not usually in that group, I focus nearly all of my drinking on New England beers so I don’t pay much attention to breweries in states like Illinois or North Carolina. Nothing against beer from other regions, I just have a hard enough time staying current on local beers. 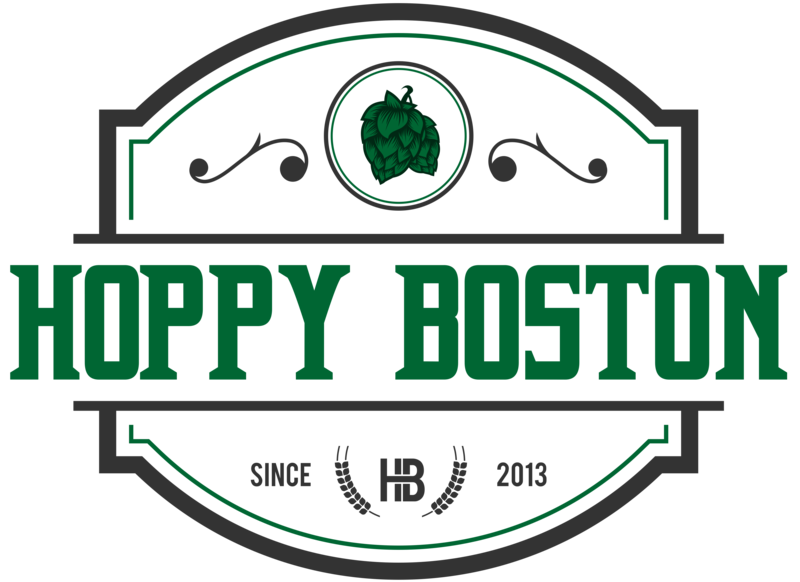 The exception is when a brewery from another state in New England expands into Massachusetts. I was excited to see that Mast Landing Brewing Company in Westbrook, ME has signed on with Night Shift Distributing. I’ve heard great things about Mast Landing’s offerings, but hadn’t tried many of their beers. While I haven’t seen cans of Mast Landing in local bottle shops yet, I did grab a sneak preview on my recent trip to Maine. The two beers I found were the double dry hopped version of Mast Landing Tell Tale Pale Ale and Gunner’s Daughter, a peanut butter milk stout. Both are available year round on draft and in 16 oz. tall boy cans. Mast Landing Gunner’s Daughter pours cola-brown with a solid tan head. The scent is a mixture of chocolate and peanut butter. This beer tastes like a Reese’s Peanut Butter Cup in beer form. The malts and adjuncts combine for notes of chocolate, peanut butter, caramel and lingering sweetness. There is minimal hop flavor, this beer is made to showcase the sweet malt flavors. Gunner’s Daughter is medium bodied and smooth, not too boozy at 5.5% ABV. It finishes with some sugar and lingering roasted malt. This is a really interesting beer, I loved it at first sip but was OK with just one can, anything more would have been overkill. Hoppy Boston score: 4.25/5. Mast Landing Double Dry Hopped Tell Tale Pale Ale pours hazy orange with a massive white head. The scent is a huge burst of hops, tons of citrus and tropical fruit aroma. The flavor is also very hop forward, hints of tangerine, grapefruit and mango with a soft bitterness. This is balanced by some light malt flavor, touches of bread crust and honey. DDH Tell Tale is light bodied and crushable at 5.3% ABV. The finish is crisp with some lingering hop flavor. This beer is stellar, huge hop flavor and aroma but still easy to drink and not too boozy. I hope cans start hitting the shelves in MA, because this will become a regular part of my rotation. Hoppy Boston score: 4.75/5.